I cook bacon on a baking sheet in the oven. I always use that pan for some other purpose (such as baking chicken) so none of the flavorful yummy-ness is wasted. 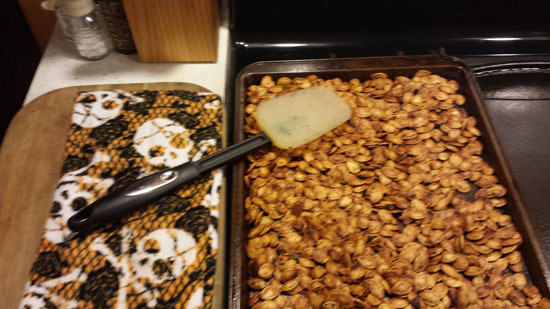 This time I decided to use that pan for roasting pumpkin seeds from the jack-o-lanterns carved by the Rents. I tossed the seeds in the bacon grease and they picked up the crunchy pan fronds while roasting. 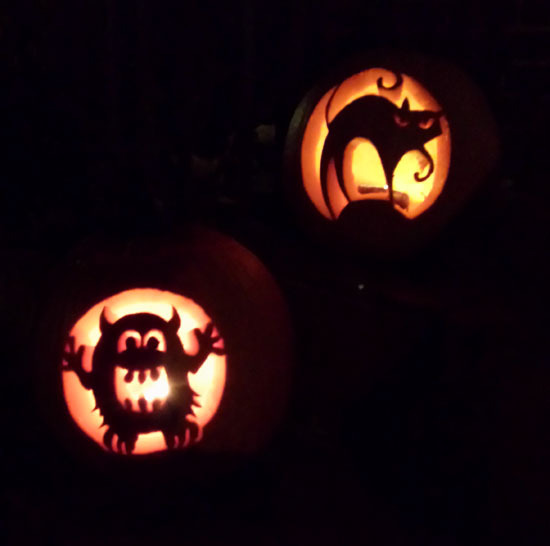 This entry was posted in In The Kitcken and tagged bacon, pumpkin.